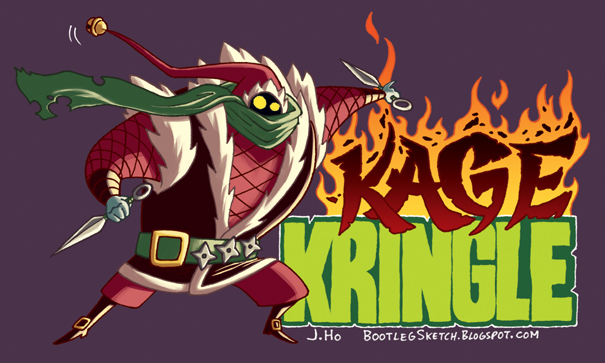 KAGE KRINGLE, the Shinobi Santa, gives razor-sharp kunai to all the good little ninjas at winter time. He also gives razor-sharp kunai to naughty ninjas... kunai which are delivered to their hearts. So be good, for goodness sake.